If you’ve been to this blog before you might have noticed I changed the header image. Previously I was using an image of the space shuttle in orbit over earth to reflect the adventures I have experienced over the past few months. After thinking through my options I remembered that in December 2001 I started working on a header design for a personal website I was thinking about launching, but never did. But it never fully captured who I am. It was close in many ways, but not quite right. Using Adobe Photoshop I scanned items and pictures while also finding various images online — merging them together in a cohesive digital illustration. I tinkered with the design on and off until July 2004 — three and one half years — until I got busy on other projects. When I found the design I instantly knew it was the perfect fit — though it needed some polishing (a few things had changed in the nearly four years since I last worked on it). Looking through the evolution of the designs was a bit like looking through a photo album — the core component did not change, but many of the details did. The design itself is very similar to its original incarnation, but many of the specifc items changed to more accureately mirror changes in my life over the past few years. For people who know me, the relevance of some of the images will quite clear. The meanings behind some of the other images is reasonably self-evident — even to individuals who have never met me. Still others might be a bit less obvious. And, considering that the only constant is change, I am sure I will modify this collage over time. My goal is to make it as timely and relevant to who I am in the present moment. I won’t actually go into detail about what the various parts of the header mean, but would be happy to answer any questions via e-mail at doctorious (at) generative (dot) com. Achieving and maintaining high performance levels in any organization requires an effective communication system — otherwise there will be no way to exchange information and share knowledge. With increasing frequency, organizations are implementing intranets to improve their internal communication, increase productivity and reduce operating expenses. This paper defines the need for improved internal communication, outlines the history of intranets, explores their benefits, notes the risks and solutions, and offers implementation insights to which an organization can refer. Upon the suggestion of my instructor — Dr. Satinder K. Dhiman, the Associate Dean of Business and MBA Program Chair — I submitted it for publication in the 2003 Business Research Yearbook of the International Academy of Business Disciplines (IABD). Fortunately my paper was accepted and I presented it at the group’s annual conference in Orlando, Florida that April. The experience was an exceptionally positive one that opened my eyes to the option of academia as a career path. Two months later, in June 2003, I flew to Honolulu, Hawaii to present the same paper at the International Business and Management Research Conference (IBMRC), which had also been published in the organization’s refereed academic journal, The Business Review, Cambridge. I was also recognized with the “Best Presenter” award at the conference. If you would like to read my paper, you can read it online on Academia.edu. I welcome your thoughts and comments — please contact me at doctorious (at) generative (dot) com. Update: My paper was cited in the 2004 book “MBA In A Day: What You Would Learn At Top-Tier Business Schools (If You Only Had The Time!) ” by Dr. Steven Stralser. It was apparently used as a general source of information in a chapter dealing with Intranets! The citation appears on page 262 and covers material presented on pages 260 to 262. Last Wednesday, April 2, 2008 marked the first annual “World Autism Awareness Day.” The day was created by the General Assembly of the United Nations which voted in November 2007 to establish the annual event date as an opportunity for Member States to raise awareness about children with autism. Various events and lectures were planned around the globe and CNN scheduled all-day coverage about autism. April is also National Autism Awareness Month. These disorders include: Autistic Disorder, Asperger’s Disorder, Childhood Disintegrative Disorder (CDD), Rett’s Disorder, PDD-Not Otherwise Specified (PDD-NOS). Each disorder has specific diagnostic criteria which been outlined in the American Psychiatric Association’s Diagnostic & Statistical Manual of Mental Disorders (DSM-IV-TR). Diagnosed in an estimated 1 in 150 children, autism is the most common Pervasive Developmental Disorder, and the numbers are on the rise. It is estimated that as many as 1.5 million Americans have some form of autism. Data from the U.S. Department of Education and other governmental agencies indicates that autism is growing at an alarming rate of 10-17 percent per year — and the Autism Society of America estimates that 4 million Americans could be diagnosed in the next decade. Autism has clearly become the polio of our time and something must be done to reverse its progress. If we don’t act now and dedicate more research dollars to finding a cure and treatment, while also finding a way to convince the health insurance industry to cover the costs associated with treatment we run the risk of losing an expontentially increasing percentage of this generation’s children to autism. The impact of autism on families is extensive. Emotionally, it can be draining. Mentally it can be consuming. Physically it can be exhausting. Financially, it can be devastating. 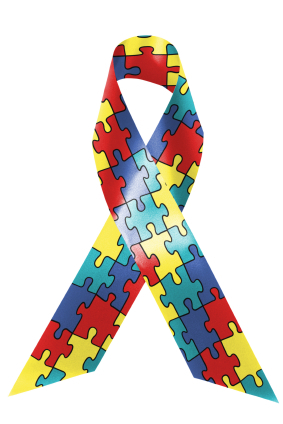 In addition to the divorce rates of parents with autistic children being higher than the average, many families of children with autism struggle to avert bankruptcy. It’s no wonder, the costs involved are daunting: from the early intervention and treatment services (which only a handful of states cover) to the lost income from one parent in a two-parent household who must stay home with the affected child while services are provided, autism affects an entire family, not just the individual overcoming it. Raising a child is stressful enough — raising a child with autism is beyond compare. That is not to say that raising a child with autism is totally unlike raising a “neurotypical” child, it just puts things within a different framework. I speak from personal experience: my older son, Jacob, who will turn five this September, was diagnosed with autism just before his third birthday. We have come a long way since then, but still have far to go. He is now speaking contextually, exhibiting emotion and is full of boundless energy. Some days are full of joy while others are full of challenges parents of children without autism truly cannot comprehend. Fortunately Jacob is on the higher functioning end of the spectrum and has many skills that a typical child near his age has (though developmentally he is not functioning at a level consistent with his chronological age). He is a sweet and smart little boy with a curiosity about the world and great potential to do wonderful things with his life. We are grateful for the services he has received and credit them with a great deal of his progress so far. However, we have also had to aggressively advocate on his behalf to ensure he continues to receive the services to which he is entitled. Jacob currently receives his applied behavior analysis (ABA) services through the Center for Autism and Related Disorders (CARD) — a worldwide leader in the field founded by Dr. Doreen Granpeesheh. His Individualized Education Program (IEP) is coming up in a month and my wife and I are beginning to prepare for battle with the Saugus Union School District to ensure that he receives the most appropriate and beneficial services. As a father, Jacob has taught me many lessons about life. but I know I have much more to learn. I now appreciate the small steps in life and applaud incremental improvement, however small, because it represents movement in the right direction. I admire his sweet and loving disposition and marvel at his unbridled joy and creativity. He is a wonderful little boy who has inspired me to become a better father and, frankly, a better person.